Sony has slashed the UK price of its digital download-only handheld, the PSPgo, knocking a healthy £65 off the previous recommended retail price of £225. Which means that, as of November 1, Sony's PSPgo will sell for £159.99 in the UK. In comparison, Sony's UMD-packing PSP-3000 currently sells for around £135. The price cut is clearly intended to boost sales of the handheld in the run-up to Christmas. Sony is currently developing the PSP2, the true successor to the original PlayStation Portable, although there are still no confirmed plans on release dates, specification or overall strategy for that machine. 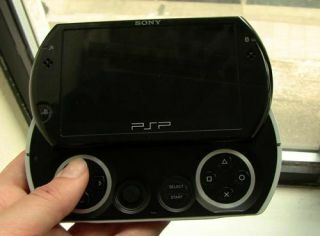 You can see TechRadar's round-up of all the latest PSP2 rumours for updates on that front.